Why Work at Jefferson Health New Jersey? In addition to the emotional rewards Jefferson Health New Jersey associates receive every day from the people and communities they serve, they also benefit from a number of more tangible rewards including comprehensive benefits packages, merit- and service-based awards and recognitions, and educational opportunities. Jefferson Health New Jersey has a partnership with Drexel University to offer education and career advancement opportunities to Jefferson Health New Jersey associates. You can earn a bachelor's, master's or certificate online. These programs are taught by the same faculty and lead to the same respected academic credentials as Drexel programs on campus. Jefferson Health New Jersey associates are entitled to special tuition rates, tuition reimbursement and recognition for in-hospital training. Contact Jefferson Health New Jersey's Human Resources office for more information. 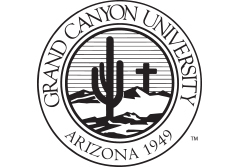 Jefferson Health New Jersey has a partnership with Grand Canyon University to offer education and career advancement opportunities to Jefferson Health New Jersey associates. You can earn a bachelor's, master's doctoral or post-graduate certificate 100 percent online. Jefferson Health New Jersey associates are entitled to a 10 percent tuition discount on all programs, along with a local representative who will work with potential learners and students from enrollment through graduation. Contact Jefferson Health New Jersey's Human Resources office for more information. Jefferson Health New Jersey and Rider University have formed a partnership to offer the fully accredited RN to BSN Degree Completion program to RNs who wish to advance their career by obtaining their BSN. Classes are offered 100 percent online, which allows for greater flexibility for the working RN with professional and personal responsibilities. All courses are taught by Rider University faculty. Jefferson Health New Jersey nurses receive a 30 percent tuition discount from Rider’s part-time tuition rate, a waived application fee, and a generous credit transfer for previous coursework. Staff and faculty work closely with students to ensure their success throughout their studies in the nursing program. Rider offers interested RNs a risk-free learning experience for one online course dubbed “try before you buy.” Explore the various possibilities for you to obtain a BSN degree from Rider University. Jefferson Health New Jersey has a partnership with Rowan University to offer the RN to BSN Degree Completion Program and the Master of Science in Nursing-Clinical Nurse Leader degree. The RN-BSN Degree Completion Program will be offered onsite at the Jefferson Stratford Hospital. One class is offered each semester and meets from 5-8 p.m. The program is offered on a part-time basis to accommodate working nurses. The Master of Science in Nursing-Clinical Nurse Leader is delivered in a hybrid mode for Jefferson Health New Jersey associates only. All courses are taught by Rowan University Department of Nursing faculty. Additional benefits to Jefferson Health New Jersey nurses are a waived application fee and the ability for students to pay their tuition in up to three installments in the fall and spring, and up to two installments during the summer term. Jefferson Health New Jersey associates can now earn a degree online at a reduced investment. Earn a bachelor’s, master’s or certificate from more than 20 different programs in health care, business, leadership, IT or education. The flexible online format allows you to take classes at your own pace, on your own time. Finally, there’s a more convenient way to achieve your educational goals and advance your career. Start today to develop new skills and abilities that you can apply immediately to your current roles. Through a partnership between Jefferson Health New Jersey and the W. Cary Edwards School of Nursing at Thomas Edison State University, you can advance your education through RN-BSN/MSN degree or graduate nursing certificate completion. The W. Cary Edwards School of Nursing has more than 25 years of experience in the delivery of quality, flexible, distance education programs for RNs who desire an alternative to campus-based education. Jefferson Health New Jersey and University of Phoenix have teamed up to encourage you to enhance your educational, professional and personal lives through higher education. 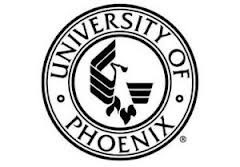 Explore your exclusive University of Phoenix educational benefits﻿. When you learn online with Walden, you have access to a dynamic learning experience that will expose you to real-world scenarios presented by faculty who are experts and practitioners in their fields. Throughout your coursework, you will explore the latest theories and best practices in your industry and be able to put your new knowledge to work immediately in your organization. You have the opportunity to work with individuals from across the United States and possibly from around the world. Thanks to Walden University's engaging online learning model, you can learn on your schedule and participate in classes on a weekly basis whenever it’s convenient for you. Jefferson Health New Jersey is committed to recognizing and rewarding service excellence. One way in which associate performance is recognized is through our Associate Recognition Program. This program is designed to recognize teams or individuals who are outstanding in the areas of quality performance and/or project-driven activities. All associates are encouraged to participate in the recognition process. By doing so, we reinforce their efforts to achieve the mission, vision and objectives of Jefferson Health New Jersey. There is nothing more satisfying than receiving recognition for a job well done and celebrating your good efforts. Every year, Jefferson Health New Jersey designates a special day during National Hospital Week to celebrate Associate Appreciation Day. This day is set aside to thank all our associates for their continued contributions to providing the best health care in our communities. The day is filled with themed, delicious meals in our cafeterias, unique gifts and celebrations for all associates. Jefferson Health New Jersey values the continued loyalty, commitment, and service of its associates. Each fall, we celebrate milestone achievements of associate service with a reception luncheon, showcasing our associates reaching 5, 10, 15, 20, 25, 30, 35, 40, and 50 years of dedicated employment. All honorees and their managers are invited to attend this special luncheon, hosted by the executive management team. The formal meal and gift raffle highlight this day as one outward sign of appreciation for our most valuable asset - our associates. Each honored associate receives a gift selection packet in the mail and can choose a gift from many options at each level of service. The gifts are then sent directly to the associates’ homes. This long-standing tradition is one which Jefferson Health New Jersey associates look forward to as they work toward each successive level of service.